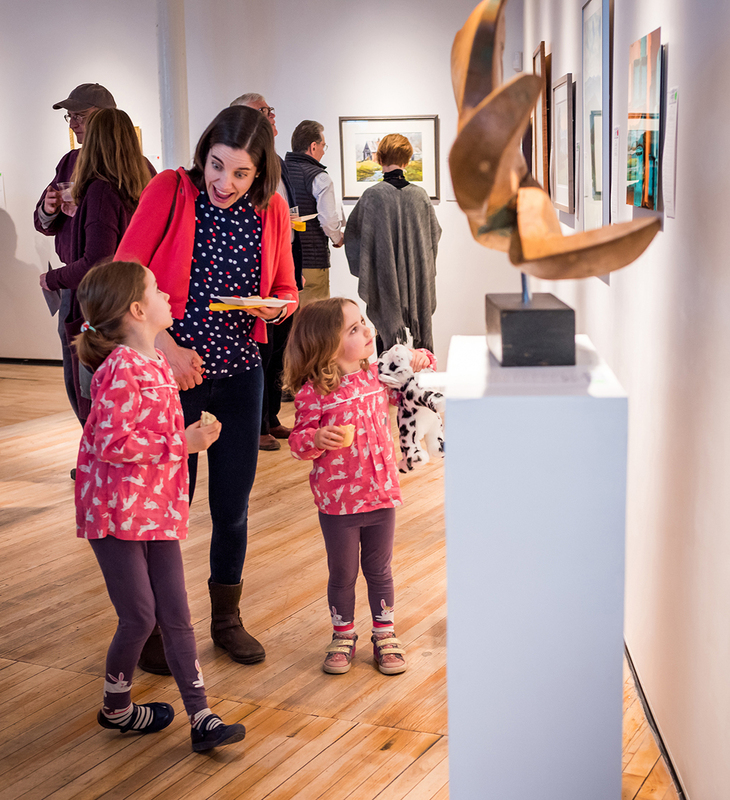 You could hear violins and the hum of the gathered crowd even before you entered AVA Gallery and Art Center last Saturday, April 7, for its annual Silent Auction Party. 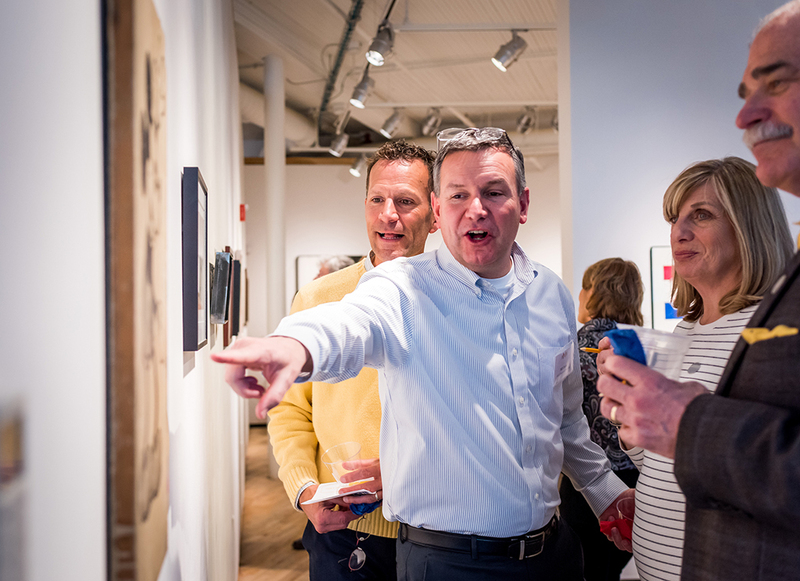 Not much was silent about this year’s auction, nor was enthusiasm in any way subdued among attendees—who included AVA members and volunteers, local artists, and community supporters—plucking hors-d’oeuvres from passing trays and sipping wine while they artfully outbid one another on a range of donated artworks that filled the gallery space. 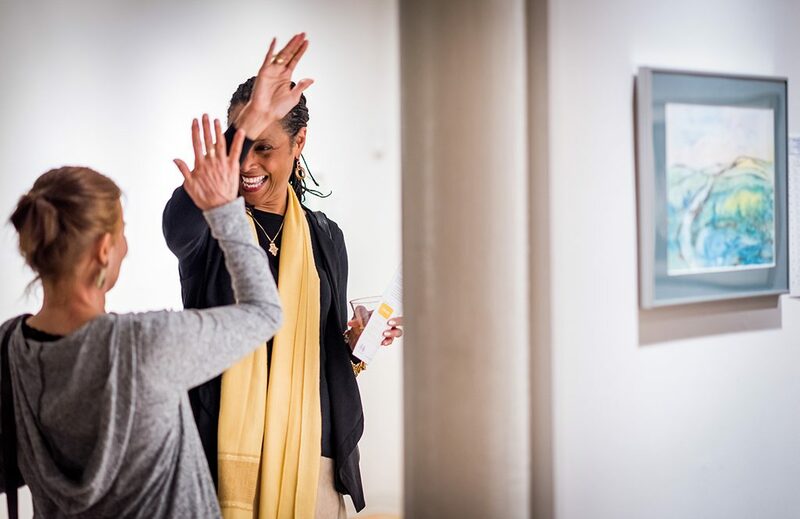 Violinists Betty Kim and Katie Wee provided the elegant soundtrack to an event that helps to sustain and extend AVA’s mission for the arts in the Upper Valley. 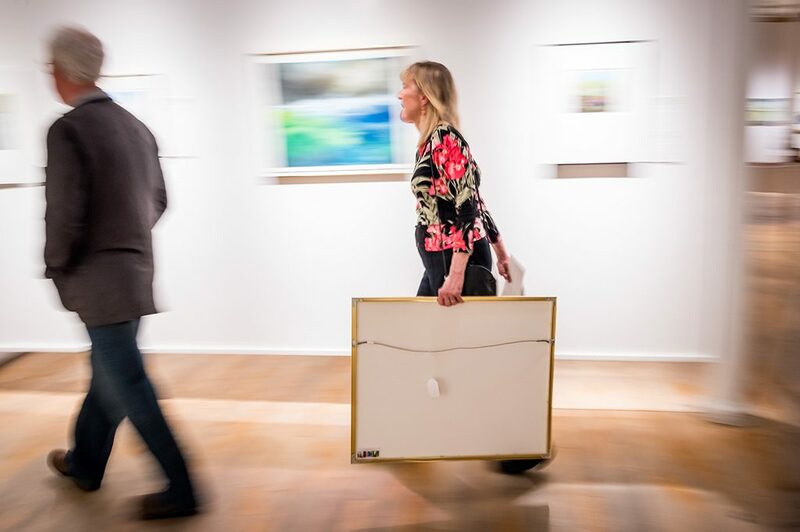 Paintings, mixed media works, sculpture, jewelry, and much more went home to the highest bidders, and resulted in over $40,000 raised for AVA. Those whose walls at home are already full could choose to “Fund A Need” from a wish list of AVA opportunities and initiatives, including sending a kid to camp, hand tools for the new Bente Building, and computers for AVA’s Digital Arts Media Lab. And many needs were funded. Measured in part by competing bids, the community’s support for AVA seemed only to grow as the night went on. 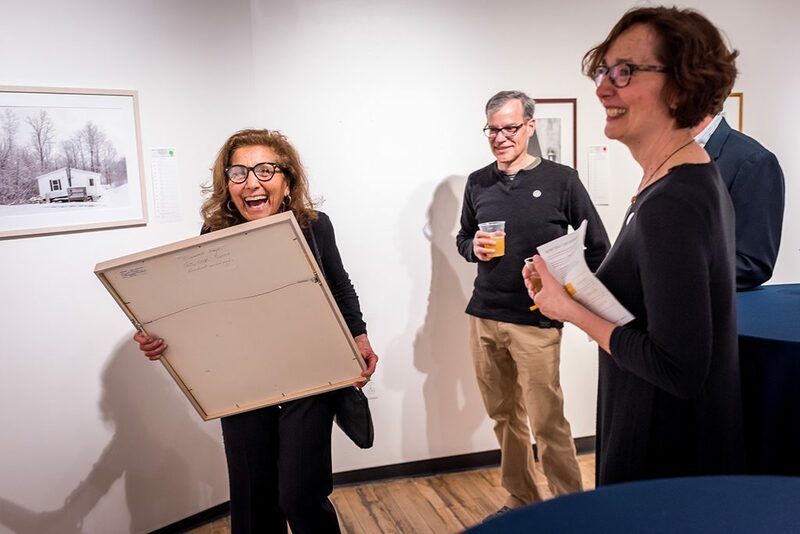 And auction-goers grew less silent about what this arts organization means to them and their experience living in the Upper Valley.